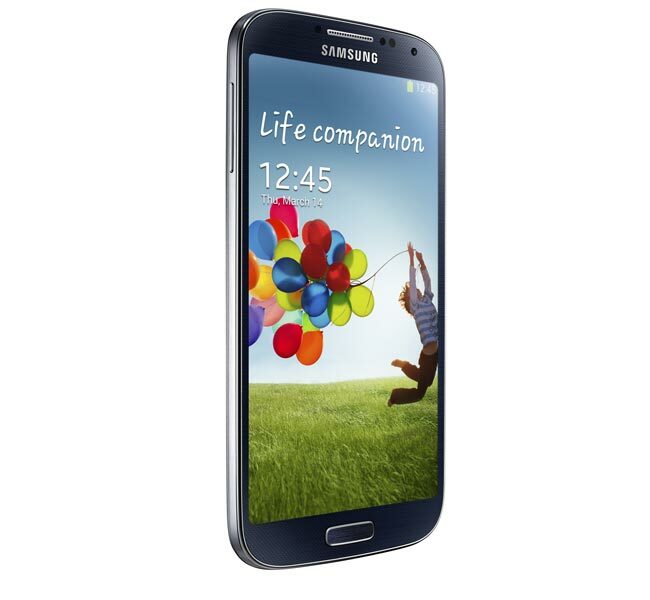 The Samsung Galaxy S4 is Samsung’s new flagship Android smartphone, and we have all the details on the Samsung Galaxy S4 specifications as well as the new features that have been introduced with the launch of this new smartphone. The Samsung Galaxy S4 specifications include a 5 inch full HD Super AMOLED display with a resolution of 1920 x 1080 pixels at 441 pixels per inch, processing comes in the form of different processors by region. The US version of the Samsung Galaxy S4 will come with a quad core Qualcomm processor with a clock speed of 1.9GHz, the international version of the Samsung Galaxy S4 will come with a 8 core Samsung Exynos 5 Octa processor with a clock speed of 1.6GHz,the handset also comes with 2GB of RAM. 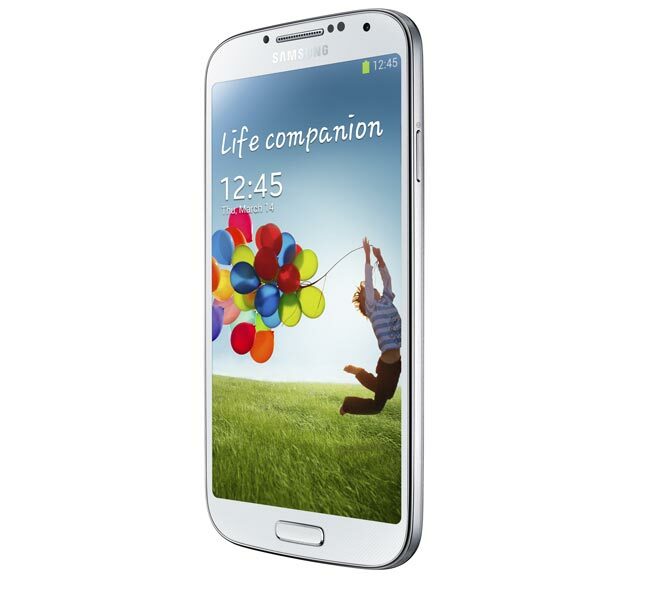 The Samsung Galaxy S4 will be available in both black and white versions, and the device measures 136.6mm by 69.8mm by 7.9mm thick and it weighs in at 103g, it will come with the latest version of Google’s Android OS in the form of Android 4.2.2. Other Samsung Galaxy S4 specifications include a rear facing 13 megapixel camera with auto focus, Flash & Zero Shutter Lag, BIS, and a front facing 2 megapixel camera which is capable of recording full HD video in 1080p at 30 frames per second. 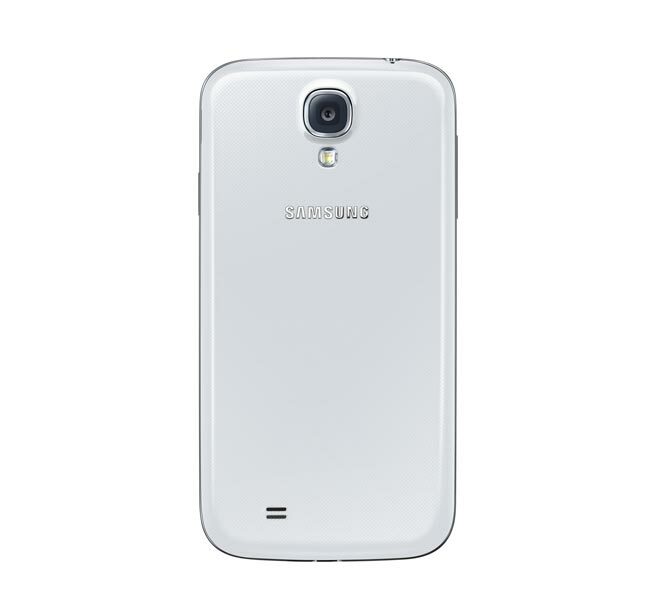 In terms of connectivity the Samsung Galaxy S4 features 2.5G, 3G and 4G LTE, it also comes with 802.11 a/b/g/n/ac WiFi, plus GPS / GLONASS, NFC, Bluetooth 4.0, MHL 2.0 and IR LED, plus Accelerometer, RGB light, Geomagnetic, Proximity, Gyro, Barometer, Temperature & Humidity, Gesture sensors.. In terms of storage the Samsung Galaxy S4 will be available with a choice of 16GB, 32GB or 64GB of built in storage, plus a microSD card slot that can take up to 65GB cards. The features on the new Samsung Galaxy S4 will be what sets this Android smartphone apart from its competitors, and these features include eye tracking technology in the form of Smart Pause, Smart Scroll, plus Air View and Air gesture, and more, Samsung explains how these features works below. Samsung Smart Pause’ enables you to control the screen by where you look. When you are watching a video, the video pauses when you look away then it starts right up again when you are back. ‘Samsung Smart Scroll’ allows you to scroll the browser or emails up and down without touching the screen. It recognizes your face looking at the screen and movement of your wrist and then scroll the pages up or down accordingly. It certainly sounds like a very impressive smartphone from the specifications and the new features, we suspect that Samsung will have another hit on their hands with the Samsung Galaxy S4. The Samsung Galaxy S4 will launch worldwide at the end of April, Samsung have not given a specific launch date for the handset as yet, and also we do not have any information on pricing, as soon as we get more details we will let you guys know. 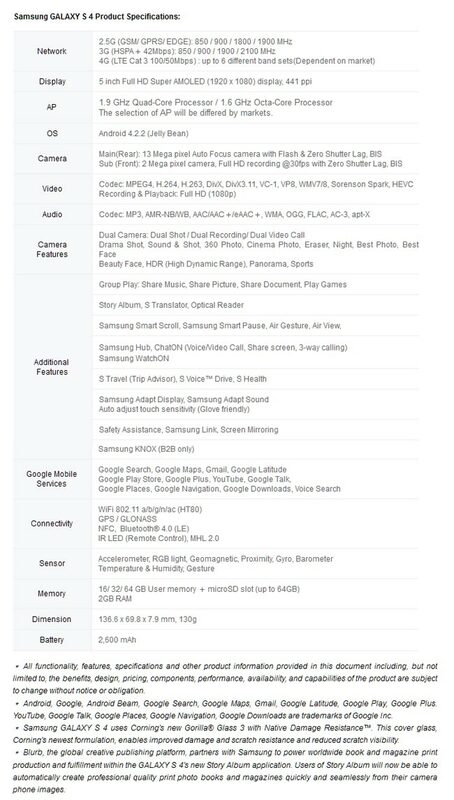 You can find out full details about the new Samsung Galaxy S4 over at Samsung’s website, and you can also see a full list of the Samsung Galaxy S4 specifications below.